When a designer house launches a new masculine fragrance I tend to find myself preparing for disappointment. This isn’t always the case (after all, there are lots of fab designer masculines out there), but in a vast number of situations it would be fair to say that the perfumes aren’t really thinking outside the box enough to be considered as worthwhile, especially when compared to their female counterparts. Sometimes however, a new masculine will come along that does impress and ‘Uomo’, the latest launch from Valentino, is one such fragrance. Taking one or two cues from Dior Homme, Uomo is an effortlessly stylish fragrance that is as soft as it is handsome. For my Escentual column this week I’ve taken a closer look at this new scent from Valentino and in addition to my review, Escentual will be giving away 6 bottles! To read my review and to enter the competition (please refer to the Escentual T&Cs as listed in the piece) please click here. Image and sample via Escentual. I am affiliated with Escentual as their Fragrance Expert. My views however, are my own. 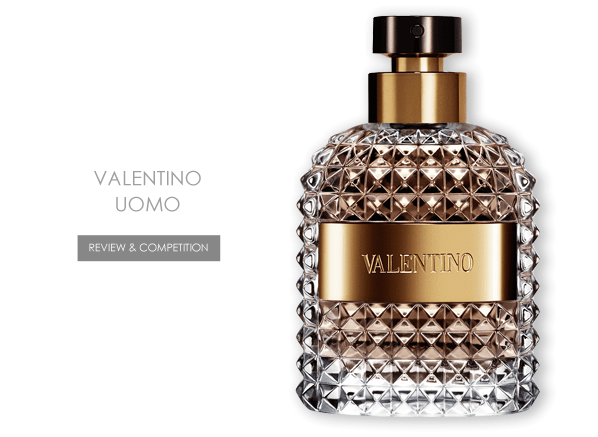 Posted in Competition, Escentual, Masculine, Perfume Reviews, Valentino and tagged Competition, Escentual, Giveaway, Masculine, Perfume Review, Uomo, Valentino. Bookmark the permalink. Excellent blog post and wish I could try this fragrance! Thank you! It’s a really nice scent: refined with a good level of depth. Reblogged this on Fashion style Alberto Moni. This one sounds really good. I was apprehensive when I first heard about it that it might be a rip-off of Dior Homme but it sounds like it’s worth the try. Too bad it’s not coming to North America until 2015. Oh no, that’s a lengthy wait!! It is really good, it’s like Dior Homme, yes but richer and more Italian. Nordstrom has the entire Valentino Uomo selection in their stores. I believe it’s exclusive, but it’s readily available. I tried a sample last week and plan on picking up a bottle shortly. It’s fantastic. I’m glad to hear that you like it! The Candy Perfume Boy Wins a Jasmine Award! Perfume Pic of the Week No.11: Have Etat Libre d’Orange Cleaned Up Their Act?